Gone are the days of Fishsticks, golf in April, and Mad Mike. After GM Garth Snow’s recent string of moves, the Islanders have set themselves up to make some noise in the Eastern Conference for the next handful of years. Not to mention that they’d still have the likes of Adam Pelech and Scott Mayfield waiting in the minors for the call. Of course, the Islanders could look to flip one or two of these players, in the hopes of a greater return (whether it be an established player or another draft pick). Whatever the case, this team is extremely deep, thanks to Snow’s key trades and draft picks. Looking in goal, Jaroslav Halak set the Islanders franchise record for the most wins in a single season. Snow flipped the struggling Chad Johnson for an upgraded backup goalie in Michael Neuvirth, giving the team someone they could rely on down the stretch. Turning up front, Snow has built up the offense that led the team to last place in the NHL just a few seasons ago. That starts on the first line with homegrown forwards John Tavares, Kyle Okposo and Josh Bailey. Anders Lee, Ryan Strome, and Brock Nelson come together to form the “kid line” of even more homegrown talent. The acquisition of Tyler Kennedy should help the penalty kill and should bring additional depth as this team goes forward into the playoffs this season. The signings of Mikhail Grabovski and Nikolai Kulemin proved to work out in the first season. 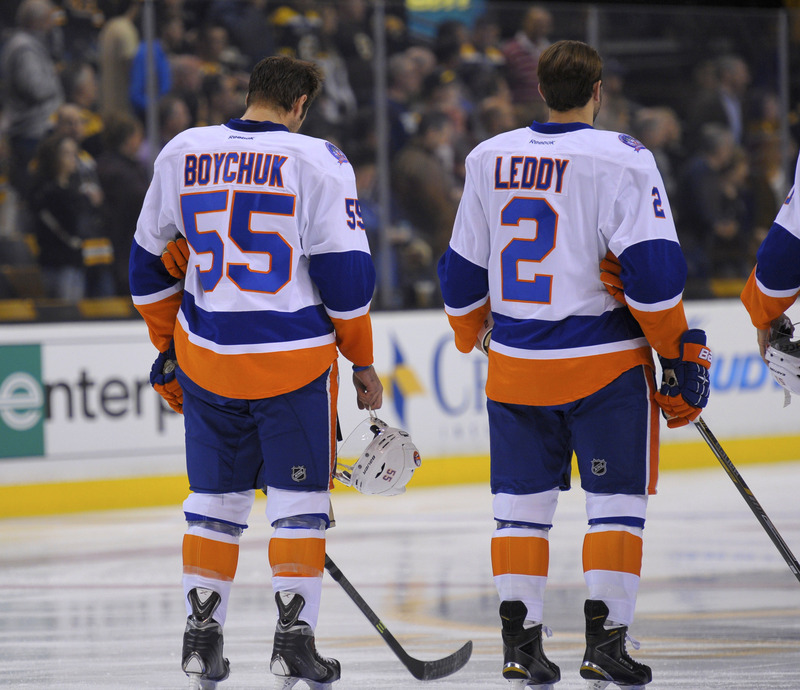 The Islanders have found themselves with one of the deadliest offenses in the NHL. But don’t think that this is a fluke. No. The Islanders have more talent on the way in the likes of Joshua Ho-Sang, who is tearing it up in juniors. The 19 year old forward has 12 goals and 42 assists for a total of 64 points in just 44 games this season for the Niagara IceDogs of the OHL. But it’s Islanders prospect Michael Dal Colle that is making headlines in Canada, tallying 38 goals and 49 assists for 87 points in just 51 games this season for the Oshawa Generals in the OHL. The two are sure to be in the NHL soon enough, and will look to continue their success. There’s no way to predict the future, but the team is deep on offense and has its focal points locked up to long term deals. Gone are the days of the team of the future. The future has finally arrived for the Islanders and now is the time to compete for the Stanley Cup in the years to come.